Colby Carthel, shown here coaching against West Texas A&M in Canyon in 2013, will miss the Lions' Sept. 17, 2016, game at Eastern New Mexico. The NCAA has announced disciplinary measures for West Texas A&M University's football program and three former WT coaches, including current Texas A&M University-Commerce football head coach Colby Carthel, current Texas A&M University-Commerce volunteer football coach Don Carthel and former West Texas A&M University wide receivers coach and special teams coordinator Joel Hinton. The conditions issued by the NCAA include probation and financial penalties for the WT football program and a one-game suspension for Colby Carthel, who will miss the Lions' Sept. 17 game at Eastern New Mexico University in Portales, N.M. Almost all of the penalties are a consequence of violations that occurred while Colby Carthel, Don Carthel and Hinton were all football coaches at WT. Don Carthel formerly served as WT's head coach, while his son Colby concurrently served as the team's defensive coordinator. Don Carthel coached WT from 2005 until his dismissal in August 2013. 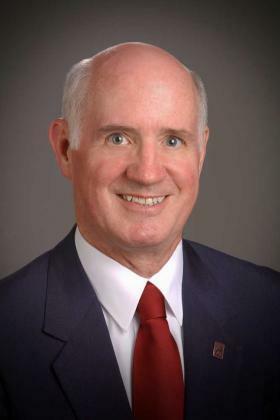 Don Carthel began serving as a volunteer coach for Texas A&M University-Commerce in September 2013. Colby Carthel coached at WT from 2006 until he left WT to become head coach at A&M-Commerce in January 2013. WT football coaching staff, collectively, provided cost-free housing valued at about $720 for six prospective football student-athletes during January, July and August of 2012, the NCAA said. Hinton's violations took place in 2014 and 2015, and were first reported in October 2014. In May 2014, Hinton arranged for Jose Azarte, Jr., a backup placekicker, to tutor starting wide receiver Anthony Johnson during a summer Spanish class that Johnson had failed during the fall 2013 semester. Although that arrangement was permissible, academic misconduct occurred that same month, when Azarte and members of Azarte's family completed class assignments for Johnson, the NCAA said. In June 2014, Azarte self-reported the academic fraud to Hinton, who did not report the misconduct. Azarte, Hinton and Johnson continued to collaborate to keep the information secret until Azarte went public with the incidents in October 2014. Despite making a general account of the fraud public knowledge, Azarte continued to withhold text messages relevant to the matter from NCAA investigators when asked to do so in January and February of 2015, the NCAA said. Don Carthel's violations, which have been reported previously, happened in 2013. In July of that year, Don Carthel purchased Texas Rangers baseball tickets for two WT student-atheletes, who reimbursed him later. In August, Don Carthel instructed the student-athletes to lie when asked by investigators about when the tickets were purchased, the NCAA said. Colby Carthel's violations occurred in 2012 and 2013. In August 2012, Colby Carthel provided an approximately $300 cash loan to a WT player to cover emergency child-care expenses. The loan was not repaid, the NCAA said. In January 2013 and June 2013, Colby Carthel provided investigators "false or misleading" information regarding the August 2012 incident. Also, in January 2013, while still at WT, Colby Carthel paid a WT student-athlete's rent, approximately $400. The WT student-athlete later repaid Colby Carthel, the NCAA said. As a result of the violations, WT's football program will be on probation for three years, through March 22, 2019. The WT football program was fined $5,000 and had its number of available football scholarships for the 2016-17 academic year reduced from 36 to 32.49. Hinton, who is no longer an employee of an NCAA member institution, would be required to appear before an employing institution's Committee on Infractions should he be hired by an NCAA school before March 23, 2018. 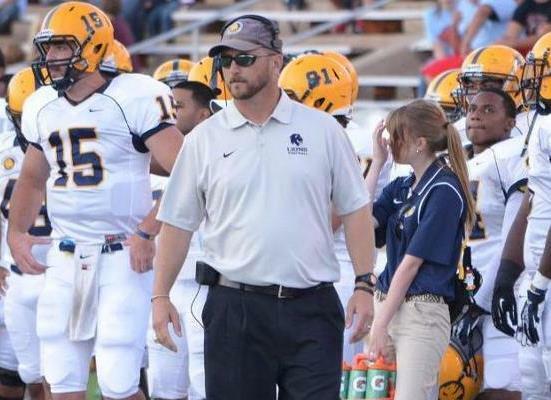 Colby Carthel will be suspended by the NCAA for A&M-Commerce's first conference game of 2016, a Sept. 17 game at Eastern New Mexico University. The NCAA also mandated ethics training for Colby Carthel. A&M-Commerce also self-imposed conditions on Colby Carthel, including three months of mandatory rules training with the university's compliance office, a loss of bonus pay, and mandatory attendance at an upcoming NCAA Regional Rules Seminar at his own expense. Colby Carthel was also suspended by the university from off-campus recruiting for periods totaling 10 weeks, all of which were completed in 2013-2015, during the investigation. “I regret any negative publicity that my mistake brought upon our great university here at A&M-Commerce," Colby Carthel said in a public statement. "I would also like to thank my President, Dr. Dan Jones, and our administration for their guidance and support through this ordeal. I’m excited to put this behind me and continue moving forward with our plan to take Lion Football to the top." As a result of the violations, Don Carthel also received conditions self-imposed by Texas A&M University-Commerce. Don Carthel has been suspended since February 2014 from off-campus recruiting and must seek approval from the Director of Athletics before resuming off-campus recruiting. Don Carthel also must attend an upcoming NCAA Regional Rules Seminar at his own expense. Additionally, the NCAA would require Don Carthel to appear before the university's Committee on Infractions should he desire to leave his volunteer coaching position and become a paid employee of the university. "By bringing closure to this investigation, we are now able to focus our efforts forward for our student-athletes on our 2016 football season and beyond," A&M-Commerce Director of Athletics Tim McMurray said. "We are confident in Coach Carthel and his program, and we are also confident that he has learned from this mistake. The future for Lion football is exceptionally bright." No further comment on the matter will be forthcoming from any A&M-Commerce athletics staff, A&M-Commerce Director of Athletics Communication Kevin Young said.